Alto restaurant is to close after Valentine’s Day service on Thursday night, under circumstances that no one was immediately willing to make public. 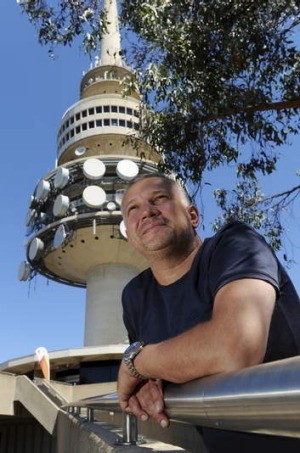 Restaurant owner Mickey Gubas has been in a long-running dispute with Telstra over the state of Black Mountain Tower, in which the restaurant is located. In January, it was reported that Mr Gubas stopped paying rent two years ago and took Telstra to court. Telstra was reported to have lodged a counter-claim against Mr Gubas for unpaid rent. The parties were due back in the ACT Supreme Court on February 20. But in a sudden decision, Alto is to close on Thursday February 14, after a dinner service that is booked out. Mr Gubas said on Wednesday he couldn’t comment on what had happened because of a confidentiality agreement with Telstra. “We’re pretty stuck on saying anything,” he said. He has eight full-time staff, including chef Darren Perryman, and would keep them on, he said. Mr Gubas was already in the midst of refurbishing a building in Lonsdale Street, to open a bakery and cafe, called Autolyse. Autolyse is the name of the bread Perryman and his team (including former Pulp Kitchen chef Christian Hauberg) have been baking in the Alto kitchens and selling through Supabarn supermarket. Mr Gubas hopes to open that venture in April, and is also working to open an offshoot bakery in Belconnen. He has had the lease at Alto for just short of eight years. Mr Gubas said Alto staff had called everyone who had forward bookings and cancelled. Raine and Horne Real Estate looks after the Black Mountain Tower, but wouldn’t comment on Wednesday on whether it was seeking a new tenant for the revolving fine-dining restaurant. Nor would Mr Gubas’s lawyer, Deren Hassan of Landerer and Company in Sydney, comment. And no-one would confirm whether the court date for February 20 was on or off, with the Supreme Court unable to find a listing under the name of Mr Gubas or Alto.